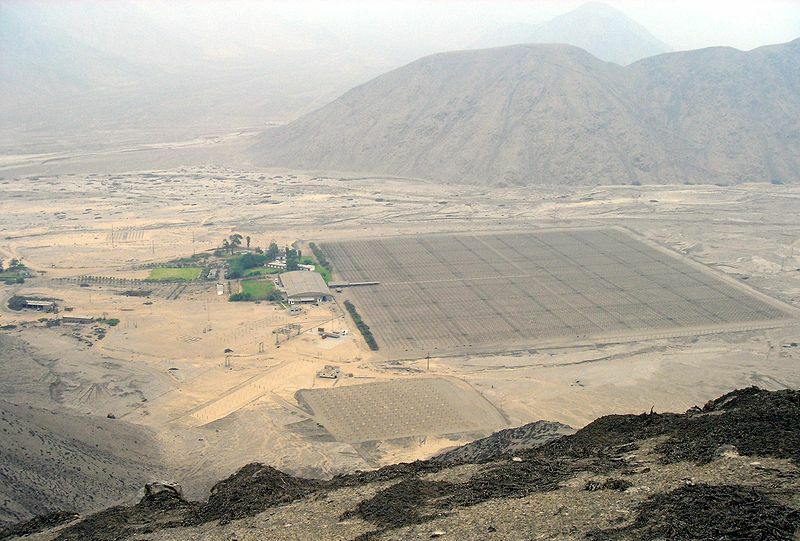 Jicamarca can only fit in a picture when photographed from one of mountains around the observatory. The view is dominated by the 300x300 49.92 MHz 3 MW incoherent scatter radar that is the largest in the world in terms of size. One can also see the SOUSY radar on the bottom center. Peru is one of the most unlikely world super powers of radar. 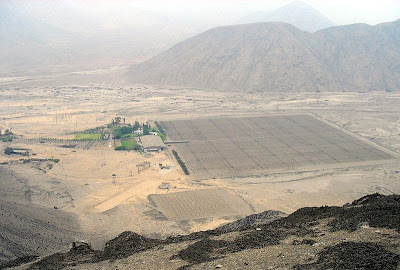 This is largely due to the fact that the Jicamarca Radio Observatory was established there in the early 60s at the outskirts of Lima. Even though the radar has some rust on it, it is still one of the most capable and flexible incoherent scatter radars in the world. 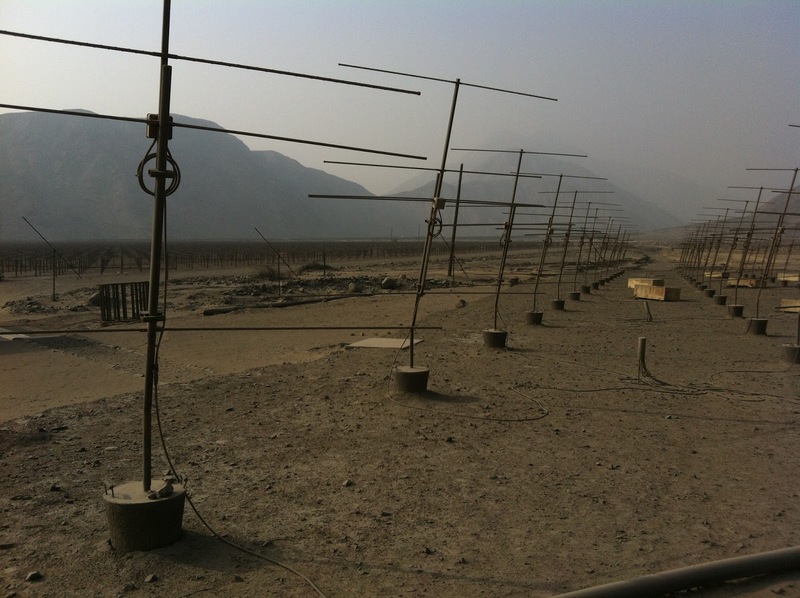 Jicamarca is kind of like LOFAR and KAIRA-- a radio science playground. 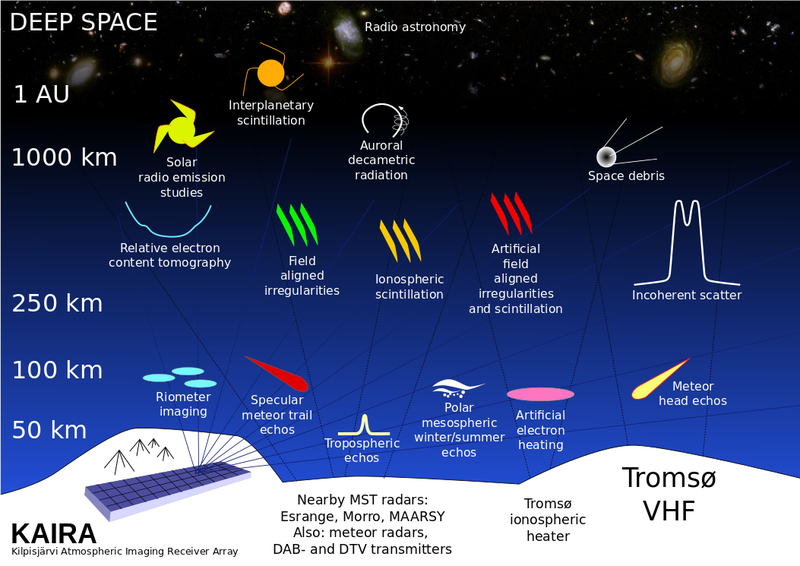 The radar and various transmitters and antennas at the observatory can be mixed and matched on very many different ways to implement many completely different remote sensing experiments. Many new radar methods used now all around the world have also been developed at the observatory. 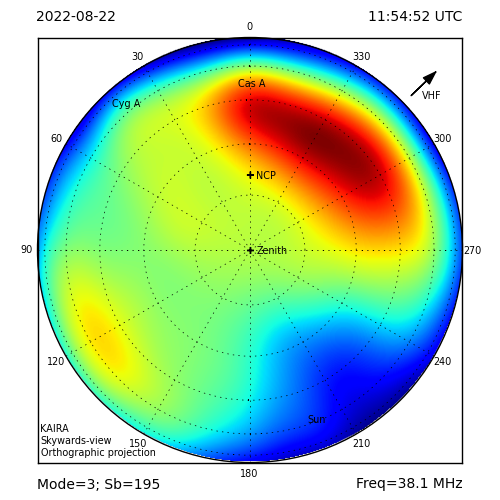 One special feature of the radar is that is resides at the geomagnetic equator. Due to the narrow incoherent scatter spectrum when viewed with a 90 degree aspect angle to the magnetic field, the radar can be used to measure very precise East-West drift velocities. Other special features of the radar are interferometric imaging of perpendicular to the magnetic field ionospheric irregularities, interferometric angle of arrival determination of meteors, and absolute calibration of electron density using Faraday rotation from two different characteristic propagation modes of radio waves in the ionosphere. It is impossible to go through all the capabilities, science, and history behind this wonderful instrument. The best that I can do is refer to the list of publications related with the observatory. 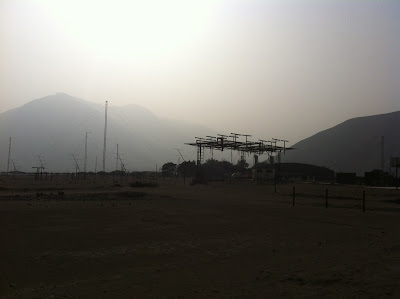 A view of the main JRO radar (background) from the SOUSY radar (foreground). The mattress antennas in the foreground, and the digisonde transmitter antenna in the background. 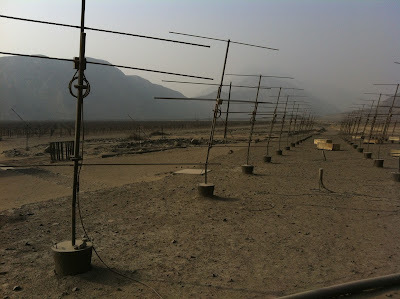 Tilted 50 MHz Yagi antennas can also be seen. If you look carefully, you can also see some AMISR panels too. Finally, there is the 4 MW 50 MHz dipole. A story tells that a bird once landed on it while it was hot. The witnesses say that the when the bird flew off, it seemed to be unharmed, until a few seconds later it suddenly just stopped flying and fell to the ground.